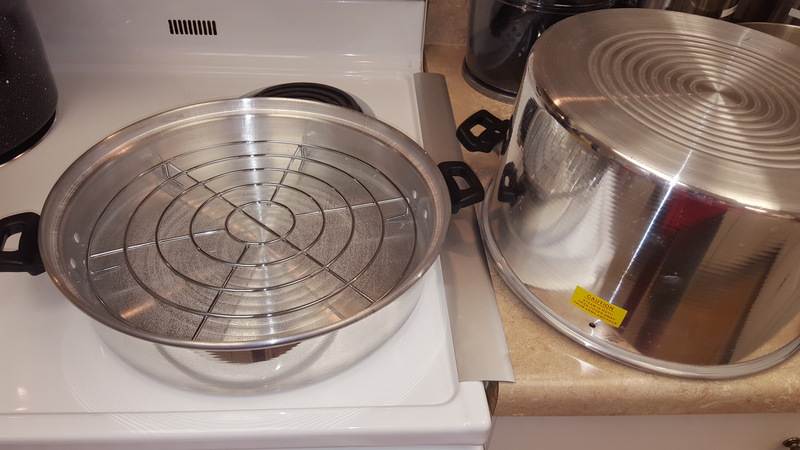 I went out and purchased a steam canner last week to see how it compared to the boiling water canner which I've been using for years. 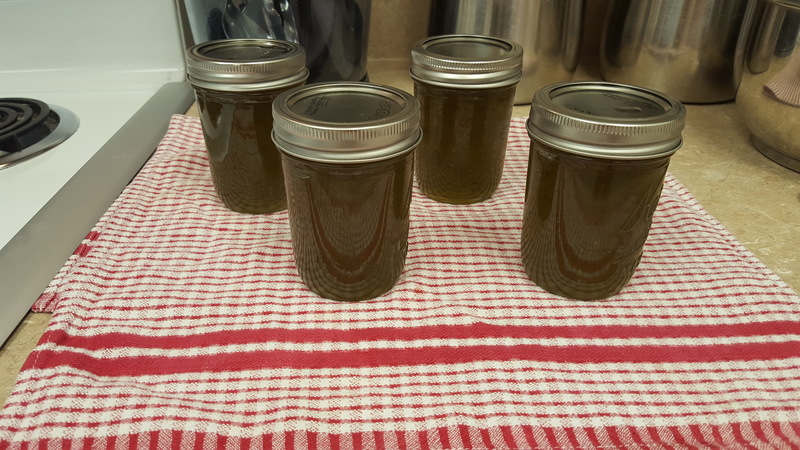 I had a lot of peppers in my garden so I decided to make a pepper jelly recipe from the So Easy to Preserve book. Using the steam canner was a great experience. It was so easy to use and I really like how light-weight it is! 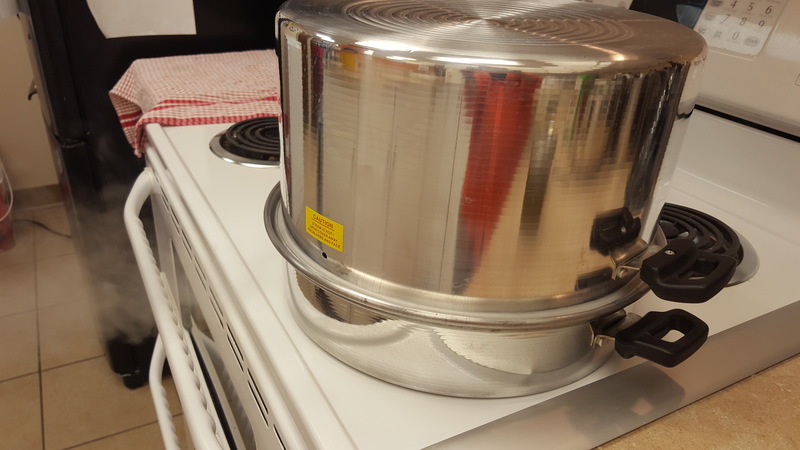 The boiling water canner is quite heavy when it's full and the water takes a long time to heat up to boiling. The steam canner, however, takes much less time to heat up since it only has 6-8 cups of water in it. I will definitely be using this more often instead of the boiling water canner. I highly recommend it. I probably don't have to warn the seasoned canner but just be careful when lifting the lid, the steam can cause some nasty burns. Click on the images above to see the canner in action. There are two small holes on either side of the canner. When you see steam funneling out about 8-10 inches, start your processing time. This pepper jelly only had to be processed for 5 minutes. The steam canner was approved in 2015 thanks to research done by the University of Wisconsin. 1. The food must be high-acid (pH of 4.6 or below). This includes foods such as jams, jellies, salsa, and pickles. Vegetables and meat are low-acid and must be processed in a pressure canner. 2. A research tested recipe developed for a boiling water canner must be used in conjunction with the steam canner. Look for recipes from reputable sources such as the National Center for Home Food Preservation. 3. Processing time must be limited to 45 minutes or less (including any modification for elevation). Since there is less water, it can boil dry. If this happens, you will have to start the entire process over again. Check for elevation with DraftLogic. 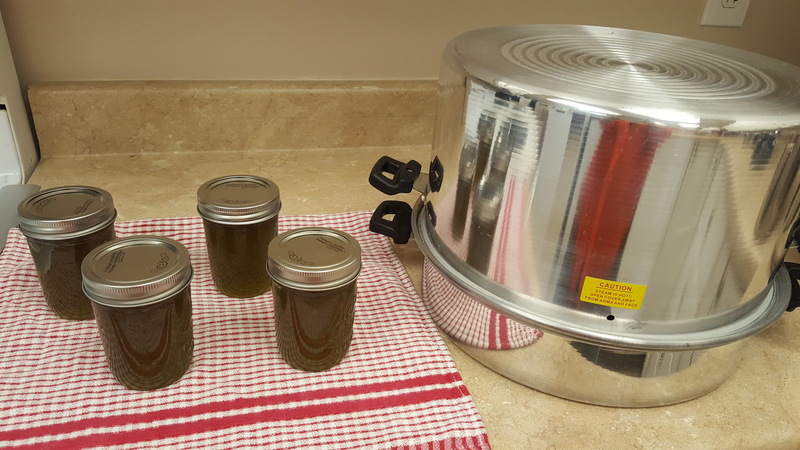 For more information on using steam canners safely, visit: University of Wisconsin- Extension's webpage.